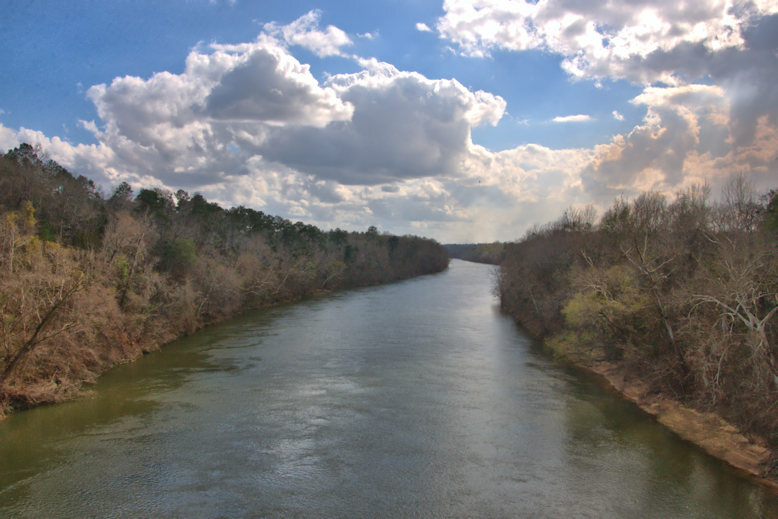 The Chattahoochee River cuts through high bluffs at Fort Gaines to form the border between Georgia and Alabama. 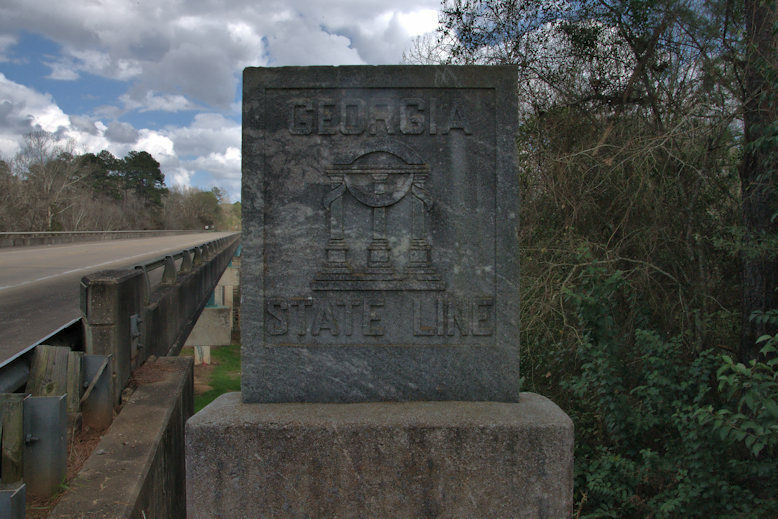 This granite marker on the Highway 37 bridge was likely placed in the 1920s or 1930s. 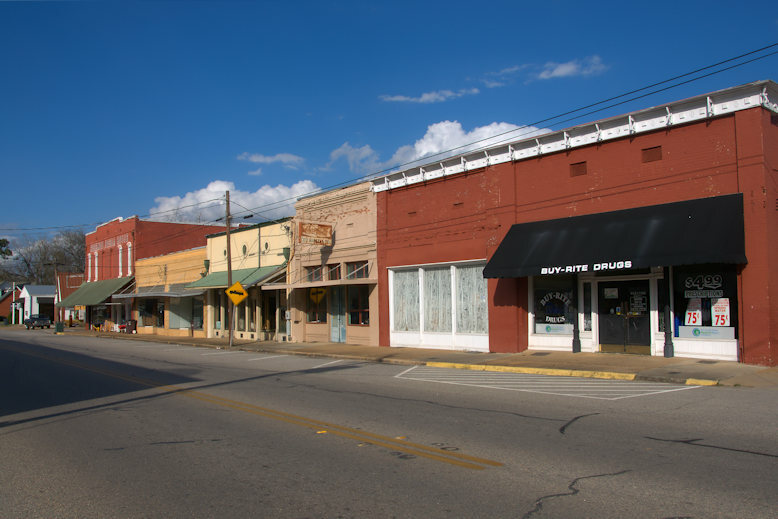 Hancock Street is the historic commercial center of Fort Gaines. In August 1814, the Treaty of Fort Jackson opened 24 million acres of Creek lands to white settlement, a result of the Creek War of 1813-1814. 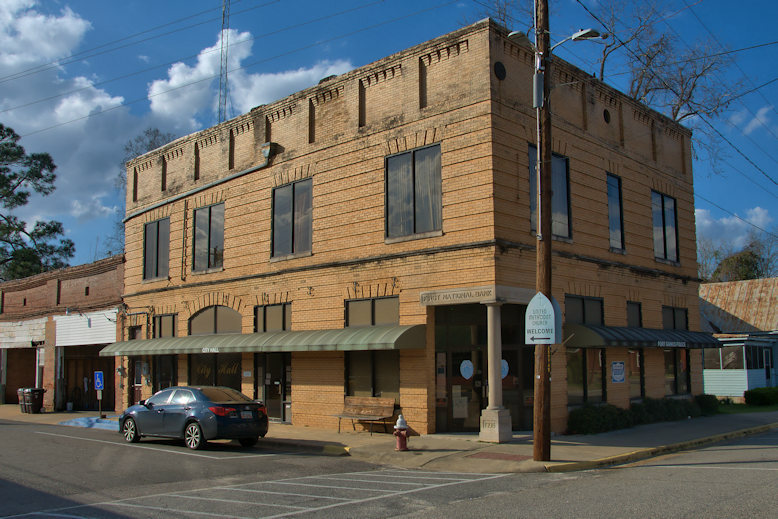 Cemochechobee Creek, which marked the border with Spanish Florida at the time, crosses the Chattahoochee River near this site. 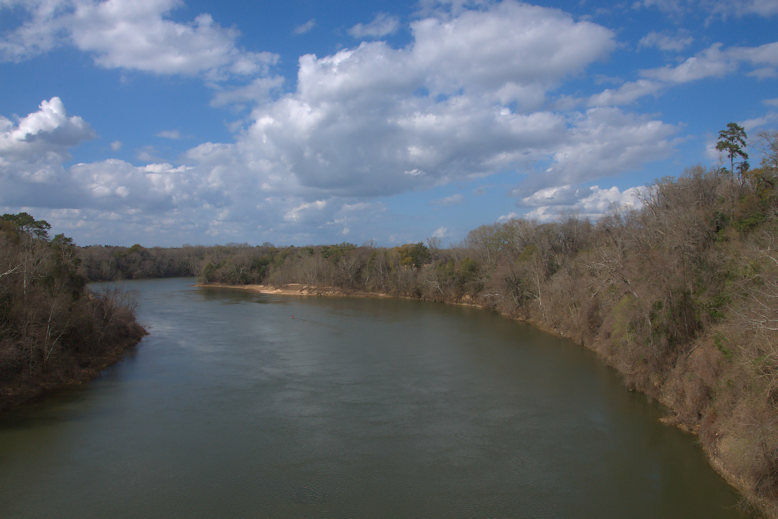 The government ordered the establishment of a fort in the area and in 1815, Major General Edmund P. Gaines and Lieutenant Colonel Duncan Lamont Clinch, with a battalion of the 4th U. S. Infantry, selected this site, on a bluff 130 feet above the Chattahoochee, just north of the Cemochechobee. 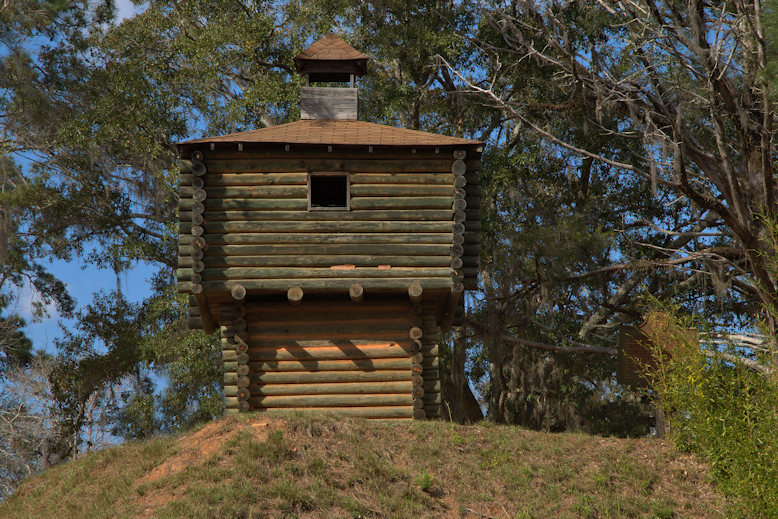 The fort they built, rectangular with two blockhouses, was named in honor of General Gaines. 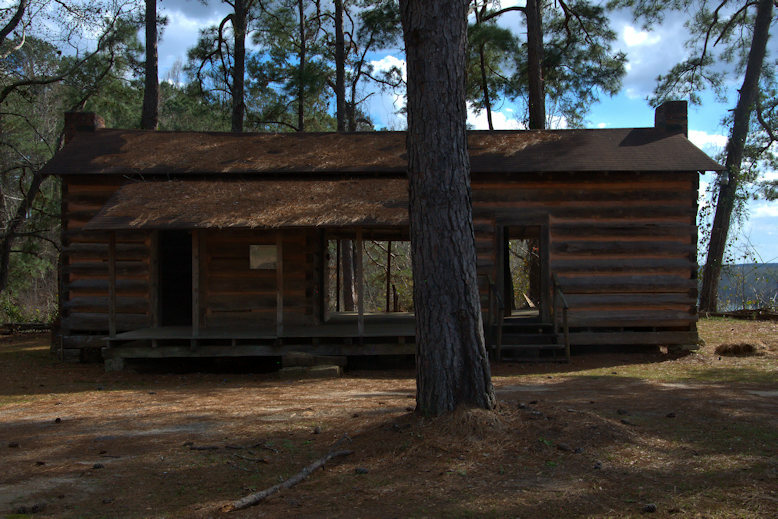 It also served as a supply depot in the First Seminole War of 1817-1818. A new fort was constructed as a defense during the Creek War of 1836. The war was short-lived and the fort was soon razed. 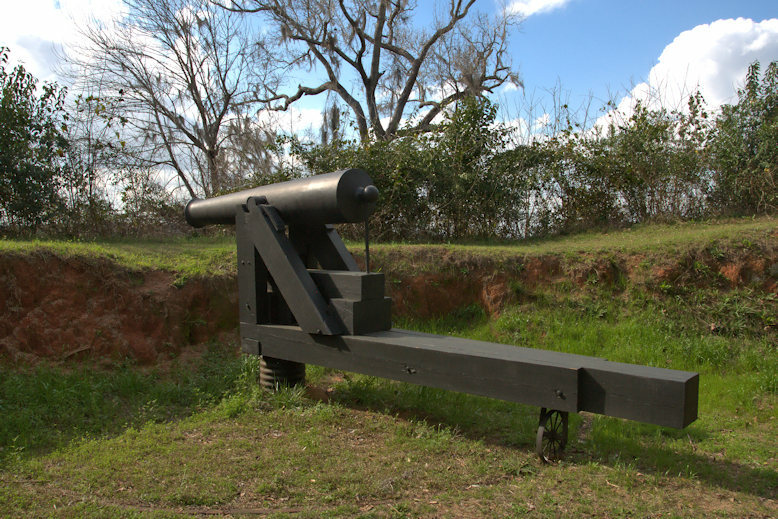 The third and final fort was built by the Confederates during the Civil War to protect Columbus from Union gunboats. An original cannon remains in one of the gun emplacements. Frontier Village is a collection of publicly accessible historic structures located adjacent to the replica of the 1816 blockhouse. There’s no admission cost. The two houses below are a good general representation of early styles common in the area in the 19th century. 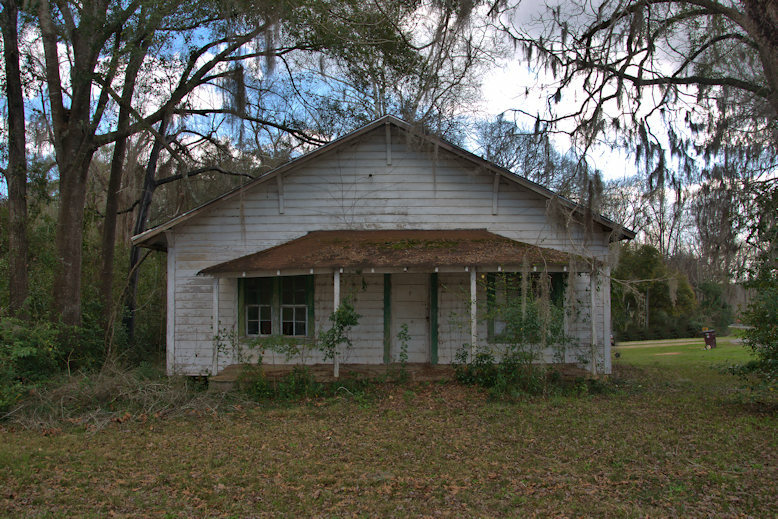 Newt Engram Dogtrot House. Originally located in Lightard Knot Springs near Zetto, this is thought to have been built by Seaborn P. Engram and passed to Newt Engram. 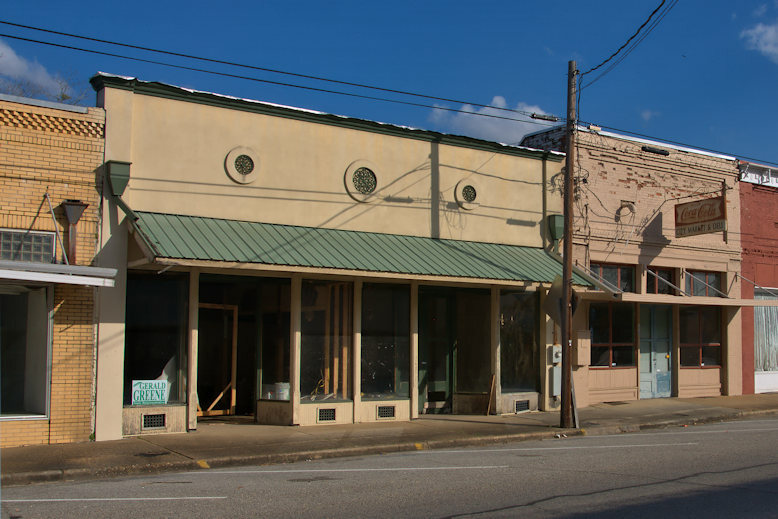 (Some Engrams in Clay County spelled their name with an “E” while others in the family spelled it with an “I”. Since I’m not a genealogist, I’m not quite sure the distinction). Herbert and Liza Ingram House. 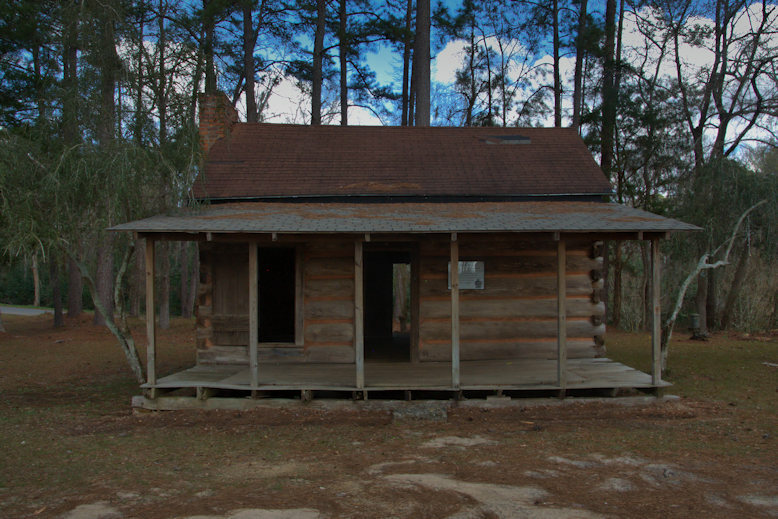 This single-pen log house was originally located near Sutton’s Corner.